Love Ultra Radio spoke with rap artist, writer and director Z. Rich. Learn the importance of repping where your from, thoughts about talent and what inspired his music career. Listen to the meaning of, “LifeRap” style, some challenges within the music industry and what artists would make his super music group. Follow Z Rich, support “LifeRap: The Live Tapes (Vol. 1)” and listen how the project came to be and what he grades today’s Hip Hop report card. 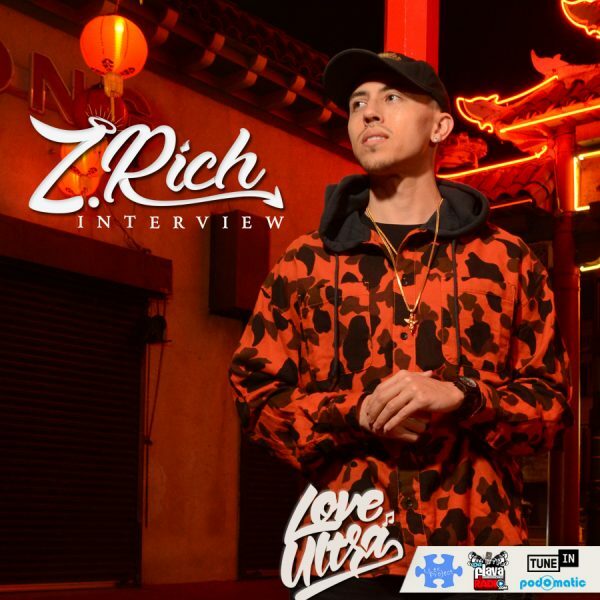 Hear why traveling as an artist is important, peep how to get “High Off Life” and check the new freestyle session vibes and hear what Z Rich loves ultra..